Please note that the options colored in yellow are all In The Money (ITM) when this screen-shot was taken at 1.02 pm on 19-Nov-18. So lets use some logic. 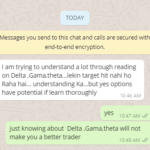 Suppose even if 80% of the call options that were traded for this expiry, expire worthless – in that case 80% of the put options will not expire worthless and will be In The Money (ITM) on the expiry day. Therefore its a misconception that over 80% of the options expire worthless. Another interesting note – can you see that at the bottom its written – Note : 10% interest rate is applied while computing implied volatility. So it looks like to keep the calculations simple to arrive at the price of options. Implied volatility is one of six inputs used in an options pricing model. The inputs used in an options pricing are known as Option Greeks which you can find in this pdf file. Download and read. Yes it is a fact that most professionals, high net-worth individuals mostly sell options to take benefit of time value and the thinking that 75-80% of options expire worthless, but that does not mean all of them expire worthless. It depends on what options you have sold. There is another reason high net-worth individuals sell options – can you buy any option worth a crore knowing very well that one crore may become ZERO within few days/hours? Putting that much money at stake to make money is very foolish – so they mostly sell options. Fact is naked selling or buying options, both come with risk. A trader must learn to manage risk. For example selling options as a measure of covered calls is also ok, still the number of stocks must match the lot size of the option otherwise the trade becomes a bit risky. 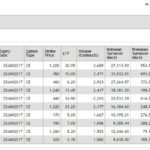 Covered calls is selling naked options against stock holding in your demat account. Please note have not said trading account. Well a trading account is used to place buy or sell orders in the stock market. The demat account is similar to a bank where shares bought are deposited in, and where shares sold are taken from out of your demat account. And buying options are better used as married puts to save losses from stock crashing. But its very important to know the loss that may arise if the stock doesn’t crash. Married puts are put buying to save losses due to a crash in your share holdings. At least in the above examples it makes sense to sell or buy an option but just selling naked options or buying naked options is very risky. Sellers sell option thinking 75% options expire worthless and buyers buy options thinking option buy is unlimited profits. Both of these are wrong. Writing covered calls is a good strategy for high net worth individuals who have a lot of stocks in their portfolio, but risky for traders with less stocks. In India not much research is done on how many options that are traded expire worthless but research has been done by OCC – The Office of the Comptroller of the Currency (OCC) is a division of the U.S. Treasury. A research done in the year 2015 by OCC found that options held and allowed to expire worthless till expiry was 21.7% only. Plese note that in US the volume is very high in options trading. And moreover US traders are more educated than average Indian trader. So I am sure the data must be same in India too. 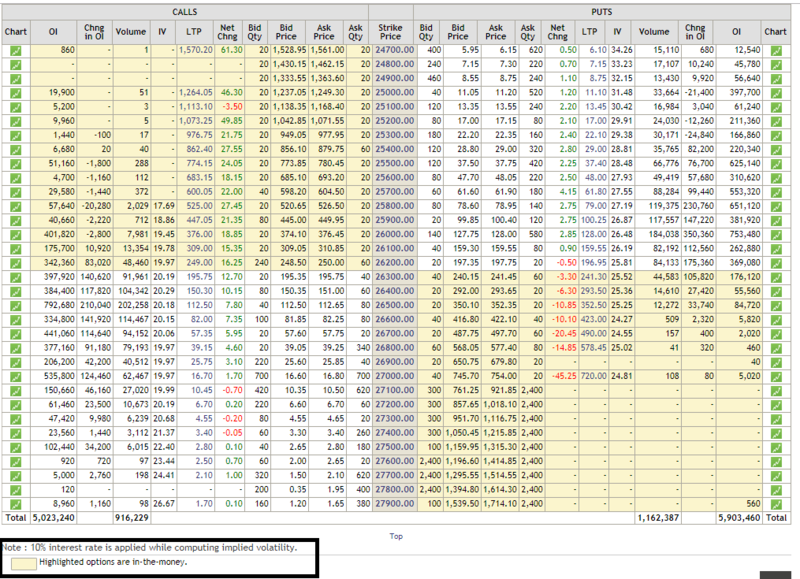 I hope you understand an accurate data suggest that only 21.7% options expire worthless. Please note this data is combined data of Calls, Puts, Index and Stocks. Let me start with open interest (OI). A lot of traders look at open interest (OI) to decide the options to buy/sell, but what they do not know is that open interest (OI) keeps changing every minute. So let us take an example. On 29-Nov-18 the November 18 series options will expire. 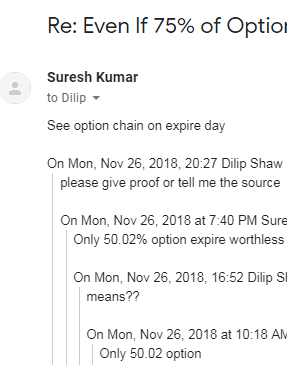 Assuming that on 28-Nov-18 (one day prior to expiration day) open interest (OI) was 150 and on 29-Nov-18 the open interest (OI) was reduced to 50 and with time as the expiration time comes closer it gets reduced further. This means that a lot of options DID NOT expire worthless but were CLOSED. Note that on the expiry day only those options expire worthless or remain in the money (ITM) which were left to trade on the last day of expiry. This means we are measuring only a portion of the options that expire worthless of the total options traded. This clearly means that whatever percentage of options expire worthless is a flawed data. So people who claim that over 75% of options expire worthless either do not know that they are only talking about a portion of options traded or just want to hide this fact. Fact is that a high percentage of the open interest (OI) that remains to be traded or were not closed until expiration day expires worthless. This is a very different number than the total open interest right from the day the trading began in that expiry. I can understand his thinking. Call options – any option strike above the current strike on expiry day expire worthless and any strikes below the current strike expire in the money, and vice versa for put options. Well this is the common belief. Fact is something else. Note that only those options are counted that were not closed on the expiry day. It is not just the strikes but open positions that did not get closed and expire worthless are counted. Say for example someone closed their position at 0.50 and that was the last option trade on that strike – then it will not be counted. Lets assume an impossible but a technically correct thing. Lets assume in Nifty on any expiry day if everyone closed their option trades anytime before the markets close, then 100% of options will be considered NOT expiring worthless neither expiring In The Money. Its just that all options that were traded were closed.